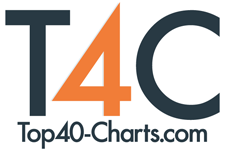 New York, NY (Top40 Charts) In only a year since its debut, The Great Song Adventure has already become established as one of the most compellingly substantial podcasts about songwriters and songwriting there is. Its hosts, Louise Goffin and Paul Zollo, both have deep roots in songwriting, passion for the process, and real reverence for songs and the songwriters who write them. Both have conducted songwriting workshops and masterclasses for years, and decided to team up to combine their talents and mutual love for songwriting to create this podcast, which celebrates and preserves the wisdom and history of great songwriters and music makers. Their first year featured shows with Van Dyke Parks, Mike Stoller (of Leiber & Stoller), Lou Adler, The Motels, Chris Difford and more, as well as archival interviews with Leonard Cohen, Chrissie Hynde and Tom Petty. Right before Christmas, they did an episode with one of the world's greatest living songwriters (who also is Louise's mom) Carole King. That interview was so joyful and expansive, that it stretched into five episodes, the first of which debuts February 8, the day before King's 77th birthday on Saturday, February 9. It was Carole's idea to do the interview. Louise, knowing of her mom's reticence to do any performances or interviews, didn't ask her to be involved. But Carole did listen to every episode, and liked what she heard, especially the interview with Chrissie Hynde. "I really enjoyed that one," Carole said, "because it was a real conversation. It wasn't just a series of questions, like most interviews. I saw a side of her I'd never seen." So when she was in Los Angeles to visit Louise and her kids, Carole took the time to do an interview with Louise and Paul. But first she went to Louise's piano, and started sounding out a standard by Rodgers & Hammerstein - "Hello Young Lovers," from The King and I. Though she didn't know it, Louise recorded the song, which opens the first episode. After that she launched into a tremendously vivid, inspirational and intimate interview, in which she discussed all facets of her remarkable life and career. Given that her daughter was one of the questioners, the interview has an especially warm and joyous spirit, as Carole spoke about songwriting itself, an art which has been profoundly shaped by the impact of her work. One of the first songwriters to become a singer-songwriter, she started as a hit songwriter at 1650 Broadway, up the street from the Brill Building, with her husband, Louise's father, Gerry Goffin. She and Louise discussed, with much fondness and humor, both Gerry's genius and his madness, which went hand in hand. King also spoke about making the landmark Tapestry, and other great moments of her life - including two major highlights: The first was when James Taylor recorded her song "You've Got a Friend." The other was when the late great Aretha Franklin recorded "Natural Woman" (written with Gerry to Jerry Wexler's title, as related in the interview). She told the stories behind other famous songs, such as "Will You Love Me Tomorrow?" and "Up On The Roof" She also discussed the surreal experience of having their life turned into the musical Beautiful, which was something she resisted, but which Gerry believed in, so she relented. In the interview she spoke of her memories getting entwined and even mixed up with the show, which took some liberties with the truth. The initial interview went more than two hours. The following day Carole told Louise there were some things she wanted to add, and they recorded more than another hour. Premiering on February 9, and for four weeks following, The Great Song Adventure will present these five consecutive episodes with Carole King. "I do believe this is the most open and expansive interview my mom has ever given," said Louise. "She talked of things she never said before." The Great Song Adventure has made an impact in a short time, as listeners have enjoyed the intimacy of the interviews, as well as the deep knowledge and love of the history, and getting the record straight. As songwriters themselves, Louise and Paul speak the language of musicians, and their talks are always informed, in-depth and warmly intimate. For their very first episode they interviewed the legendary Van Dyke Parks, and from there presented a great range of guests, including Mike Stoller (of Leiber & Stoller, who wrote "Stand By Me," "Hound Dog" and countless other classics), Other guests included The Motels, Danny Kortchmar, John Parish, Chris Difford of Squeeze and Lou Adler (who produced Tapestry and many other landmark albums), Fred Tackett (of the band Little Feat), Joachim Cooder, and Josh McClorey of The Strypes. They've also presented archival shows (from interviews Zollo conducted originally for print) with Leonard Cohen, Chrissie Hynde and Tom Petty. Coming up this year - in addition to new interviews - are archival episodes with Paul Simon, Bob Dylan, Rickie Lee Jones, Frank Zappa and Yoko Ono. Louise Goffin is a songwriter, multi-instrumentalist, producer of a Grammy nominated album, and artist who released her debut album Kid Blue at 19 and has gone on to release nine solo albums. Her most recent album is the critically-acclaimed All These Hellos. As the daughter of Goffin and King, she was raised in the very heart of songwriting greatness, and just in time for the explosive emergence of the singer-songwriter into our culture. Paul Zollo is a songwriter, recording artist and author of many books, including what many have called "the songwriter's bible," Songwriters On Songwriting, and its sequel More Songwriters On Songwriting. He's written songs with many songwriters, including Steve Allen, Dan Bern and Severin Browne, and his songs have been recorded by Art Garfunkel, Eliza Gilkyson and others. He's the author of Conversations with Tom Petty (a new edition of which is being published later this year), and Hollywood Remembered. Currently the managing editor of American Songwriter magazine, he's written for many magazines as well as the Grammys and their website, and has worked on several movie documentaries, including Legends of the Canyon, about the musicians of Laurel Canyon, such as Carole King, who raised Louise there. It is narrated by Henry Diltz.